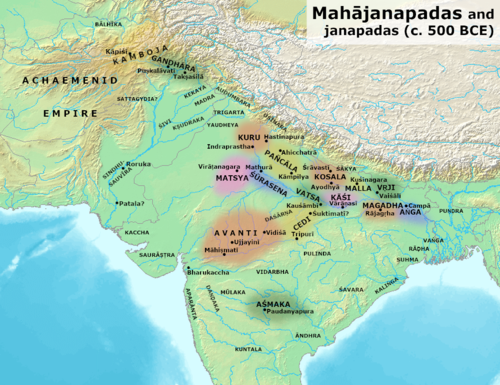 Ājīvika philosophy, along with the Cārvāka philosophy, appealed most to the warrior, industrial and mercantile classes of ancient Indian society. Pūraṇa Kassapa Amoralism: denies any reward or punishment for either good or bad deeds. Makkhali Gośāla (Ājīvika) Niyativāda (Fatalism): we are powerless; suffering is pre-destined. Ajita Kesakambalī (Lokāyata) Materialism: live happily; with death, all is annihilated. Pakudha Kaccāyana Sassatavada (Eternalism): Matter, pleasure, pain and the soul are eternal and do not interact. Sañjaya Belaṭṭhiputta (Ajñana) Agnosticism: "I don't think so. I don't think in that way or otherwise. I don't think not or not not." Suspension of judgement. Notes: 1. DN 2 (Thanissaro, 1997; Walshe, 1995, pp. 91-109). 2. 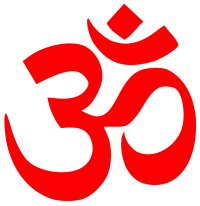 DN-a (Ñāṇamoli & Bodhi, 1995, pp. 1258-59, n. 585). Magadha and was the son of Mankha, a professional mendicant. His mother was Bhaddā. His name Gosala "cowshed" refers to his humble birthplace. Brahmi script (3rd century BCE). 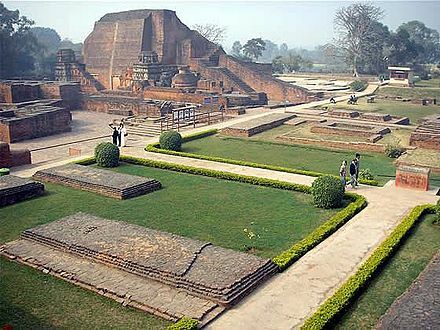 Ājīvika were perhaps misrepresented by Jain and Buddhist sources. 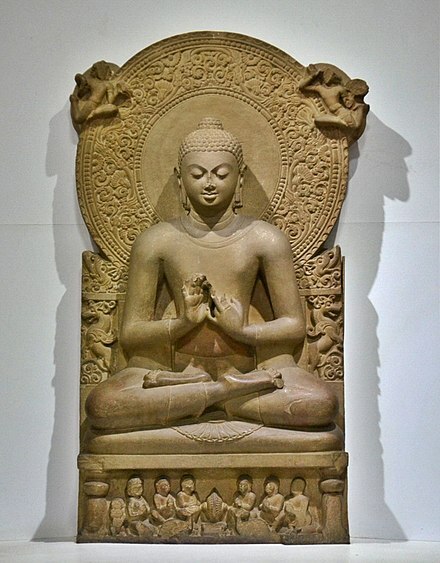 Jainism and Buddhism, also make sense if this doctrine was really not so radically different from these traditions as its presentation in Jain and Buddhist sources suggests. Jainism before and in the age of Mahāvīra, ISBN 978-8124605486, pages 414-415 ^ Basham 1951, pp. 124-127. ^ Basham 1951, pp. 149, 282, 327. ^ John S. Strong (1989). The Legend of King Aśoka: A Study and Translation of the Aśokāvadāna. Motilal Banarsidass Publ. p. 232. ISBN 978-81-208-0616-0. Retrieved 30 October 2012. ^ Beni Madhab Barua (5 May 2010). 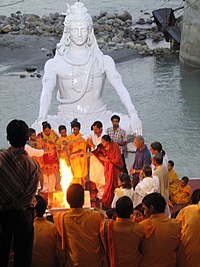 The Ajivikas. General Books. pp. 68–69. ISBN 978-1-152-74433-2. Retrieved 30 October 2012. Jainism (1st ed.). Routledge. p. 368. ISBN 9781317538530. Jayatilleke, K.N. (1963). Early Buddhist Theory of Knowledge (PDF) (1st ed.). London: George Allen & Unwin Ltd. p. 524. Warder, Anthony K. (1998). 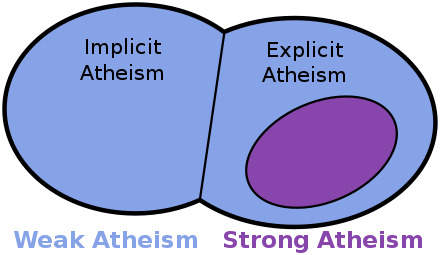 "Lokayata, Ajivaka, and Ajnana Philosophy". A Course in Indian Philosophy (2nd ed.). Delhi: Motilal Banarsidass Publishers. pp. 32–44. ISBN 9788120812444.